The U.S. foreclosure inventory in September witnessed a 24.3 percent year-over-year decline, while the number of completed foreclosures declined by 17.6 percent compared with September 2014, according to new data from CoreLogic. CoreLogic determined that the national foreclosure inventory consisted of approximately 470,000, or 1.2 percent of all homes with a mortgage; one year earlier, the inventory consisted of 621,000 homes, or 1.6 percent with a mortgage. 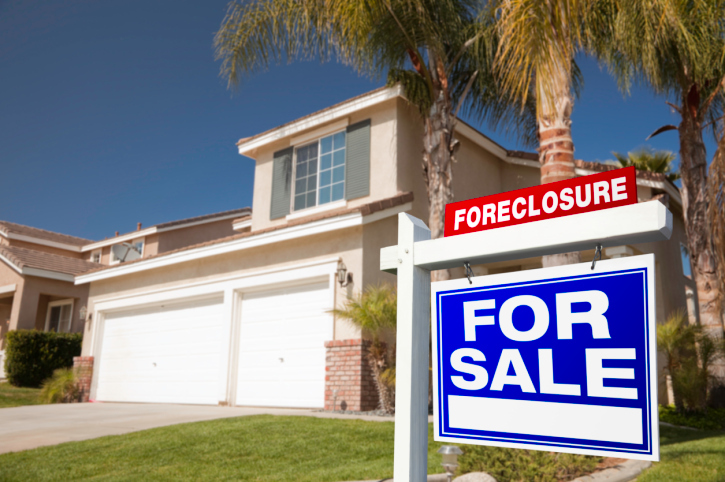 September saw 55,000 foreclosures, down from 67,000 a year earlier. Furthermore, the number of mortgages in serious delinquency—defined as 90 days or more past due—fell 21.2 percent in September on a year-over-year basis, 1.3 million mortgages, or 3.4 percent, in this category. This is the lowest serious delinquency rate since December 2007. The five states with the highest number of completed foreclosures for the 12 months ending in September—Florida (91,000), Michigan (45,000), Texas (32,000), Georgia (26,000) and California (26,000)—accounted for almost half of all completed foreclosures nationally. While the foreclosure inventory shrank, the level of multifamily originations grew. The latest data from the Mortgage Bankers Association (MBA) recorded an 11 percent year-over-year growth in third quarter in the dollar volume of loans for multifamily properties; on a quarterly basis, however, there was an eight percent decline from the second quarter. Nonetheless, commercial and multifamily mortgage loan originations came in 12 percent higher in the third quarter from a year ago and were three percent higher from the second quarter. "Every major investor group and property type except one has seen increases in year-to-date lending volumes, and we expect year-end numbers to continue that trend," said MBA Vice President of Commercial Real Estate Research Jamie Woodwell, referring the health care properties as the sole commercial real estate sector that lagged behind the others. The vibrancy of the multifamily sector is fueled by the unabated interest by my Americans to pursue rental housing rather than homeownership. With that in mind, HomeUnion, an Irvine, Calif.-based online real-estate investment management firm, issued a new ranking of the top 10 markets in where investors can “affordably and prudently” buy single-family rental (SFR) properties. Focusing on non-owner occupied properties and a combination of economic factors – including median prices of investment properties, year-over-year job growth, gross rental yield and housing affordability—HomeUnion named the Charlotte, N.C., metro area as the best SFR investment market. Rounding out the top 10 were the metro areas based in and around Orlando, Fla.; Baltimore; Cincinnati; Jacksonville, Fla.; Birmingham, Ala.; Florida’s Tampa-St. Petersburg-Clearwater corridor; Indianapolis; Milwaukee; and Nashville.